While your membership dues cover nearly all our regular expenses, donations help us go further — and they’re tax deductible. PLAIN is a 501c3. Donations help PLAIN go further, and do more for the city we all love, than our membership dues allow. We have some large ideas coming up, and those will cost much more than we can ever make with dues. We are sometimes able to apply for grants, of course, but many of those call for matching funds — meaning we have to raise the same amount in other ways in order to get it. And besides, you never know what might come up that we’d like to do. Some of our recent contributions have been for school supplies and teacher support at Rockbridge Elementary School, food baskets for needy residents (through Caring and Sharing), a grill for the park, sound insulation for the Beach House, beach chairs, planters for the beach, donating new tables to the Club House, and buying kitchen cabinets for the Beach House. 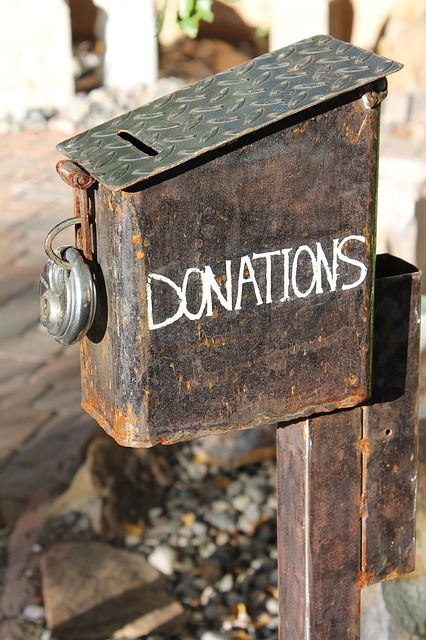 You can donate in several ways — PayPal, write us a check, and mail it to PLAIN at PO Box 44, Pine Lake, GA 30072. Or make a donation at one of our many events. 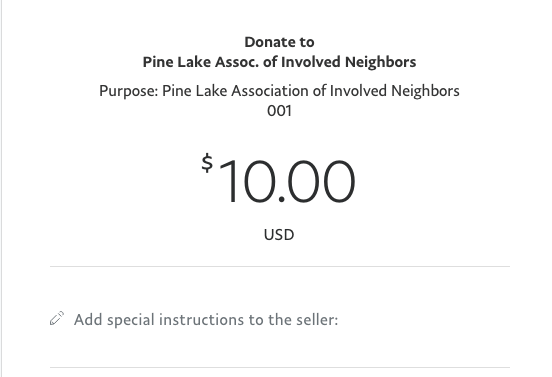 When you donate through PayPal, tell us where you want your donation to go in the “Add special instructions…” area of PayPal (see below). Donations can be for park improvement, Rockbridge Elementary, caring/sharing, etc. Donating to PLAIN means your putting your money back into the community and helping those who may not have the spare money to give. And it comes with our heartfelt thanks.